Green Cove Springs, Fla. March 17–The beginning of boating season is a good time to develop a pre-departure checklist of what you need to know before you go. Some of the things you should always have and know before you hit the water: the number of life jackets on your vessel; fuel and oil levels; where fire extinguishers are located and the weather forecast. National Boating Safety Week is May 20 –26. The Clay County Sheriff’s Office and the U.S. Coast Guard Auxiliary are teaming up again to host a free safe boating class on Saturday, March 18 from 9 a.m. – 3 p.m. Attendees who successfully complete the class will receive a Florida Boating Safety Education I.D. Card, which is good for life. 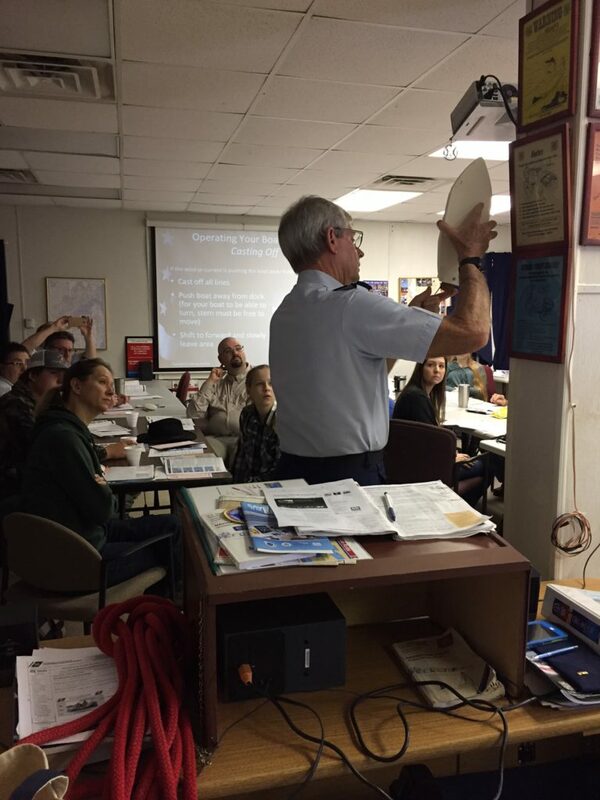 The course will be held at the USCG AUX Headquarters, 1 Bunker Ave., in Green Cove Springs. Seating is limited and reservations are required. For more information, email boatsafeclay@bellsouth.net or call (904) 616-1608.